Yes, we have all heard about the major retailers who have been compromised and credit card sata has been stolen. What we don’t hear about are the small websites that are compromised. Keep in mind that ACH transactions are not subject to the same PCI requirements that credit card transactions are, but nevertheless, both types of transactions contain sensitive data – and yes, bank account data from compromised websites is sold by data thieves and used nefariously by other unsavoury individuals. Protection of sensitive data should be paramount to an organization who wishes to accept payments via their website. Above and beyond running on https, how the website payment integration communicates, or how the website payment utility being employed works is key to mitigating data theft. Here at ACH Payments, we have utilities and integrations that can greatly reduce and even eliminate the risk of data theft; for both ACH transactions and credit card transactions. In all methods we have available, tokenization can be used. In some cases sensitive data never touches a using organization’s web server. Instead, sensitive data is posted directly to a PCI level 1 gateway which simultaneously returning a reference token that replaces the need to store the sensitive data. In such a scenario it’s completely impossible for for nefarious intrusions to compromise sensitive data from the using organization’s web server. How a payments page is presented to visitors is of great importance to organizations who want to accept payments via their website. Integration with the using organization’s database can allow for various fields to be populated upon arriving at the the actual payment submission page or modal, saving time from dealing with data errors submitted by visitors. Likewise, pre-populated data, whether visible or hidden, can make reconciliation a much simpler task, e.g., a hidden transaction number or account number. Moreover, how the payments page appears to a visiting customer has a role in adoption. Redirection to a third party url might be fine for some organizations, but for others it simply doesn’t meet their needs. They know that a visiting customer must stay on their website URL and not be redirected for payment and then redirected back once the payment has been made. Any organization that has a subscription based product or service that includes recurring payments generally has a need for ACH Payment acceptance. While many subscription based needs are setup manually by the merchant organization, some have the need for their visiting customer to setup the recurring payments themselves. Doing so requires that the integration or website utility used is capable of scheduling and managing recurring payments functionality. 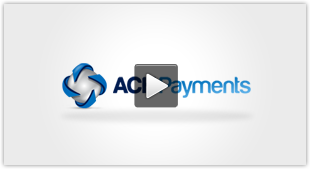 Here at ACH Payments, we have the functionality for an organization to empower their website to accept, schedule and manage subscription, recurring based payments from their user base of customers. ACH transactions are practically a must form businesses with recurring payments needs. Credit card declines average 15% in the recurring space. These delines come from expired credit cards, compromised or stolen cards and newly issued EMV cards. The amount of work that some organizations have to go through to re-capture new card data is a daunting task. WHile there are now tools to use like the credit card updater networks, there are transactional costs to those. Even then, the likelihood of all declines being updated is next to zero. Bank accounts don’t have expiration dates, and the percentage of rejected items from closed accounts in the subscription sector is far lower than credit card declines. The costs from accepting ACH transactions is far less than accepting a credit card transaction. Given that the subscription sector knows their customers far better than a business’ website that is shaped more towards one-off transactions, ACH payments make a great deal of sense. Subscription based customers generally rely on the product or service being delivered by the business. In some cases it’s a delivery of a recurring item, and in other cases it’s a virtual service – which are easy to terminate access to, eliminating product loss revenues. Consider the cost difference: A subscription based business with 1,000 customers paying $75 per month via credit card amounts to ~$2,200 per month in processing costs. That same customer base using ACH would amount to ~$290 per month in ACH processing costs; an annual savings of ~$23,000. If you are looking for a product or tool for accepting online payments, you have come to the right place. Our Secure Website Payments tools are easy to use, secure and can get you up and running quickly. Custom branding to match your site (hosted solution). Merchant controlled receipts and email notifications. Can accept both e-checks and credit cards. Option for future or recurring payments. If you’re looking for a solution for accepting payments on your website, contact us and we’ll guide you through the options and help you decide the best option for you and your company.